Get back to business in 2017! 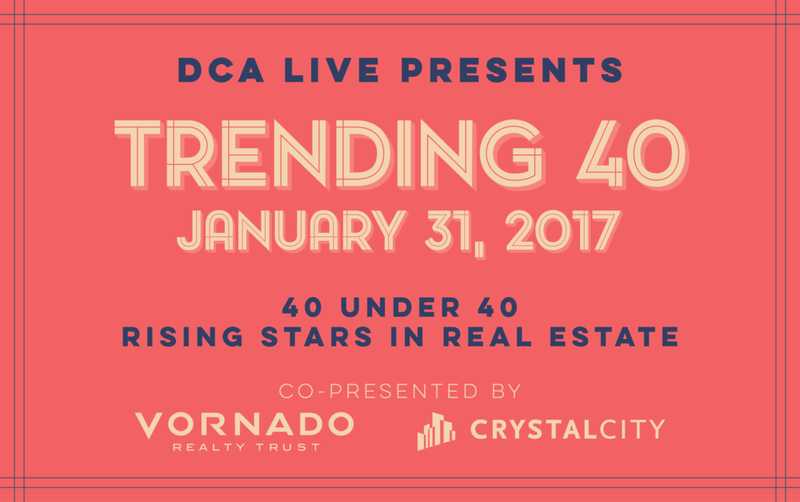 Join DCA Live and our host committee to celebrate the rising stars in DC commercial real estate. We'll honor this great group with a lively and fun event on January 31. Join 200+ movers and shakers from the local real estate and business community for a fun evening of music, food, drinks and great networking.